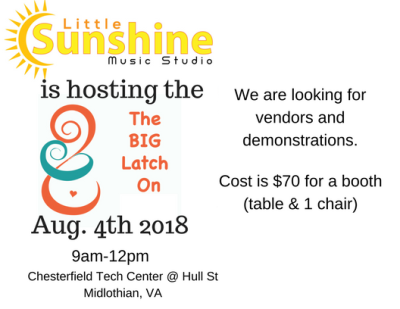 We're very excited that you are interested in being a vendor for the Big Latch On! Please fill out the registration form below to begin registering. Once you've submitted your form, the site will take you to a Paypal link to pay for your registration. Your registration will not be complete until payment has been received. Please briefly describe what your business does. Do you have any questions or requests for the reservation?